My baby girl turned 18 a couple days ago. 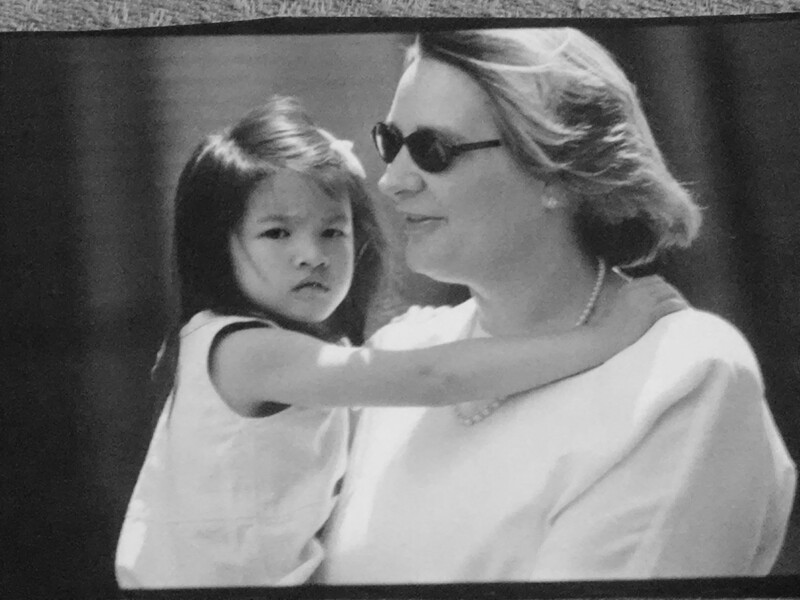 I wasn’t with her that momentous birth day – a tiny Chinese woman was – a woman who, for whatever reasons, knew she couldn’t keep this precious baby and so made certain the local orphanage would have her so that a nice family could adopt her. I give thanks for that unknown woman’s gift every year. I do distinctly recall the birth day of my other child, and the entire 20+ hours of labor and delivery without drugs. The women who told me that you forget all the pain once you see that little baby must have had epidurals. Parenting is always an interesting action. For me, it’s been thought-provoking and intriguing to rear one birth and one adopted child. The ridiculous questions I have received about loving a birth child more than an adopted one I have found tiresome and irritating. Can some people really think that small? I know the answer is unfortunately yes, but parenting in these circumstances is so much more compelling than such petty questions. We live in a society where parenting centers around perfection. An accomplished mother is one who raises the perfect child – the little one whose smiling face fills the facebook pages and instagram accounts, who always has great adventures, whose pictures are filled with the best friends, who is showered with awards and accolades, who is destined to be the greatest success. Isn’t that the mark of a perfect parent? Yet, recent information about college suicide highlights that many students use social media as a way to mask their pain and depression. Parents who beam about the public image of their children are often stunned and surprised that the face does not reflect their child’s reality. I know I’m not a perfect mother. No one is a perfect parent. There is no perfect individual on the planet. We owe it to our children to be authentic. If we hope they can live with integrity, then we need to model what that means. It does not mean treating a child like one’s best friend, revealing all the minutiae of our feelings and emotions. It does mean sharing honestly, in an age appropriate manner, about the realities of life and what it means to live each day. As much as we might want our children to think we are superheroes, with facebook enviable lives, we need to admit when we make mistakes and when we are wrong. We need to let them know that sometimes life is hard – we can’t always pay the bills, we are betrayed by friends, we have moments of despair. Yet, it is even more important to help them know that whenever we encounter these things, we can pick ourselves back up (usually with the help of our loyal friends), dust off the dirt, and take one step at a time towards the future. Those smiling faces of the children and young adults on social media need to know that whatever happens, it’s not the end of the world. People aren’t perfect, and we all have difficulties in our lives. Yet, there is a tomorrow. I know I’m an imperfect mother, and I know my children are not perfect either. They are perfectly wonderful, but one of my goals has always been to help them celebrate their strengths and find ways to work on their weaknesses. I’m thankful for all the years we’ve journeyed together, and hopeful that we can share many more in the future. ← Who Can Claim Community?